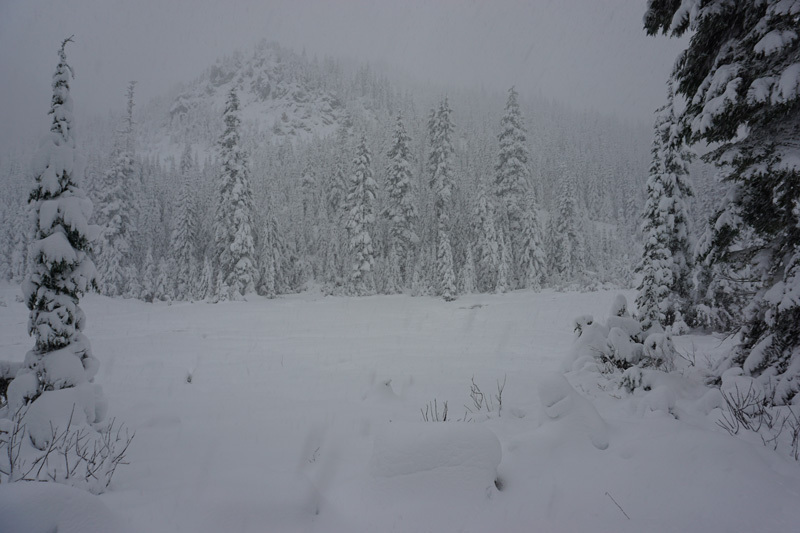 We finally got a bit of snow so Matt and I decided to do a last minuet run. 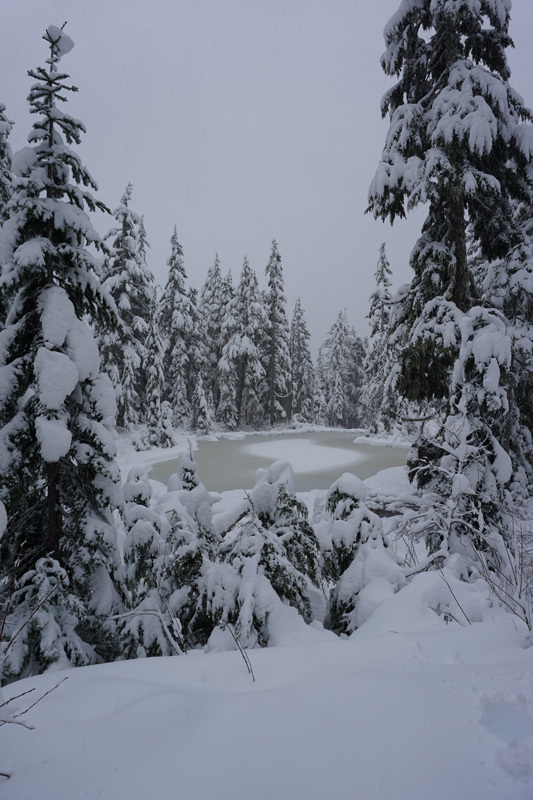 Conditions were great for an early year run but there is no base at the end of December. The day was great but as always I only got a few pictures. Not a bad little shake down run. I wish we had more snow. I'd say there was a solid 2 feet of snow with deeper drifts here and there. It was too wet to take many pictures. Visibility was so poor there wasn't much to see anyway. On the way out it was near white out conditions during some of the heavy wind gusts. Nobody wrote: Not a bad little shake down run. I wish we had more snow. I'd say there was a solid 2 feet of snow with deeper drifts here and there. It was too wet to take many pictures. Visibility was so poor there wasn't much to see anyway. On the way out it was near white out conditions during some of the heavy wind gusts. But you were still wheeling and that is always a good day. bobracing wrote: But you were still wheeling and that is always a good day. n16ht5 wrote: nice, Iron mt? This is a short video to show the effect of airing down from 4psi to 2psi. I was having some difficulty making it up this hill in the snow. 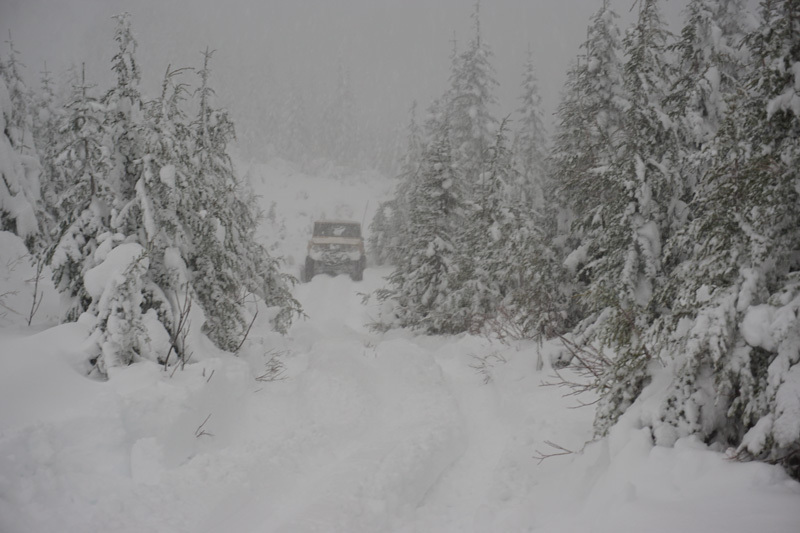 The snow had a wind slab top layer that wasn't strong enough to support the vehicle, but enough to slow any momentum. The snow underneath was wet and compacted into very slick ice on the first pass. After fighting it for a few minutes, I dropped the air pressure in my tires from 4psi to 2psi. After airing down to 2psi, I was able drive right up with little effort. Hope to find some of that white stuff on Thursday! Dion and I are looking for some fun! Might see ya? that bronco is sweet. 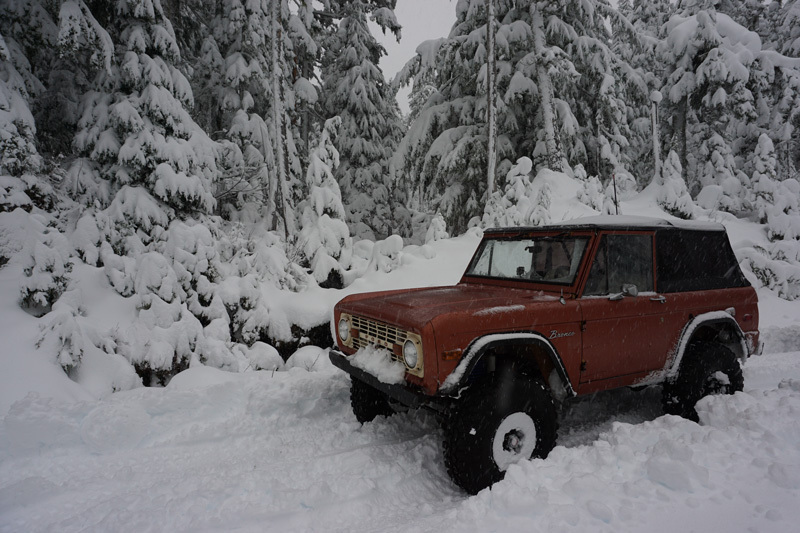 do you ever drive it in the rock/mud in summer or just snow? 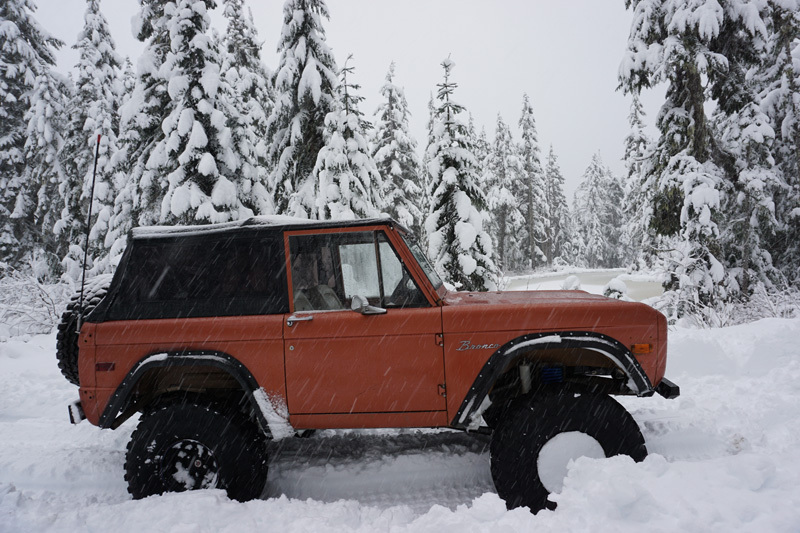 I'm not sure if your taking about my Bronco but I don't wheel it allot anymore except the snow. 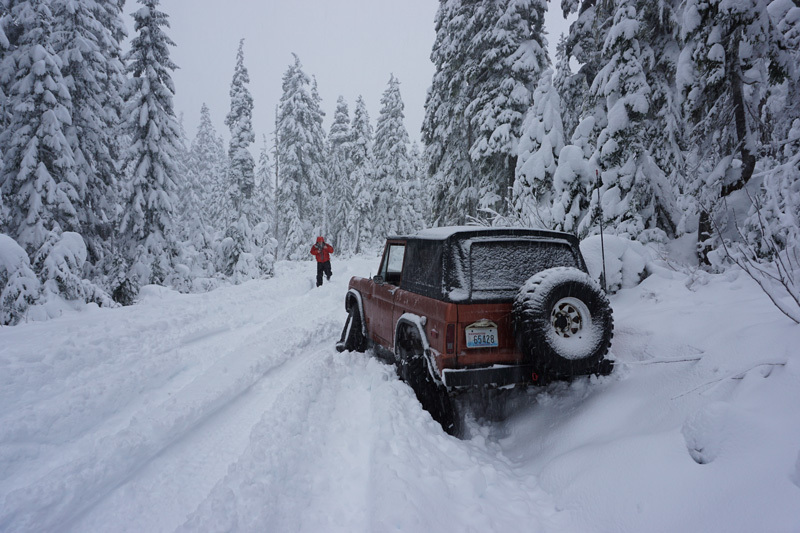 It's been through the Rubicon a few times, and allot of the local stuff here but with the politics involved in land use stuff combined with trails becoming groomed and over crowded I find I would rather go hiking or out on my Harley.